The microphone is a very personal item to the musician, and there are often many factors to consider when making the selection. 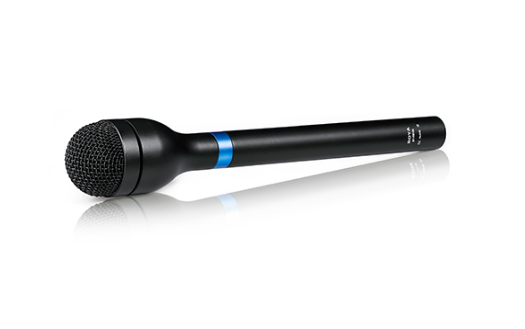 In a wide range of microphones, there is no such thing as "a microphone is the best." Each type of microphone has their own unique properties and uses, resulting in different sound quality. The meaning of "moving coil" is that the coil of the coil, which is closely connected with the diaphragm, moves continuously in the magnetic field according to the change of sound pressure to generate a current that varies proportionally with the amplitude of the acoustic wave, so that the acoustic signal is converted into an electrical signal. Dynamic microphone cutting coil magnetic field directly to the current, so dynamic coil wheat does not need power supply. Dynamic microphone's advantage is its simplicity and skin. The disadvantage is that because of being "dragged down" by the wire coil, the diaphragm does not respond as rapidly to changing sound waves as other types of microphones. Moving the Microphone to Pick up Elaborately-charged, high-frequency components can be tough, but dynamic microphones can provide satisfying performance when picking up the bottom drum or snare sound. Dynamic microphones are also often used to record the sound of guitar amps. Dynamic microphone is often used for vocal recording, which is largely a "traditional custom." As the previous condenser microphone was stupid and fragile. But even though condenser microphones are now designed for live vocals everywhere, their more expensive, uniform prices tend to make people more inclined to choose dynamic microphones that work equally well. Condenser microphone is based on the principle of electrostatic design, the diaphragm and the back plate to form a capacitor unit, the diaphragm vibration with the sound caused by the potential difference between the backplane and change, so that the acoustic signal into electrical signals. condenser microphone usually built-in amplifier, the output of the capacitor unit is very weak. condenser microphone Requires 48 V phantom power supply or battery.